Whenever stress hits hard, we look outward to the beauty around us. 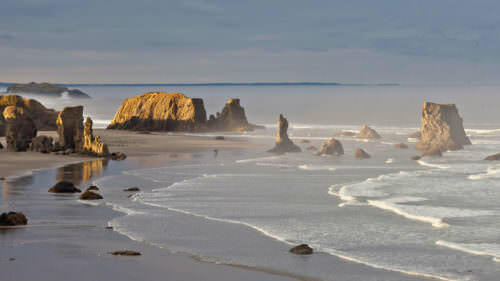 And there’s an abundance of beauty along the Oregon South Coast. With its mild climate, the unspoiled, uncrowded South Coast — known as the Banana Belt of the region — is the perfect remedy to whatever’s ailing you. Whether the cure is soaking in a tub with an ocean view, teeing off at a world-class golf course or hiking along a secluded scenic river, you’re destined to find plenty of peace here. 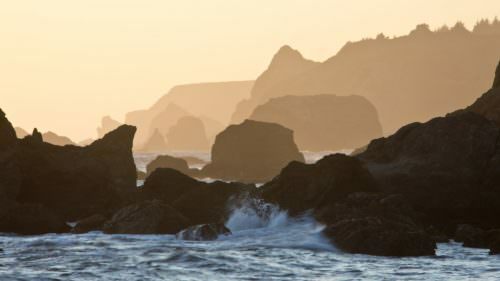 Here are three easy escapes in Port Orford, Gold Beach and Bandon. 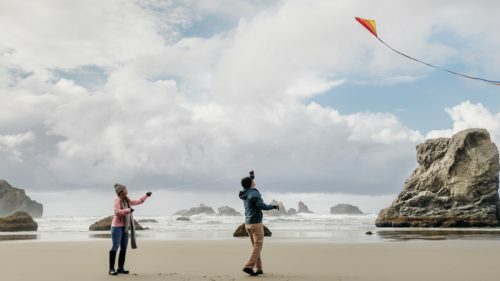 In Bandon, find delight this winter at the Bandon Dunes Golf Resort, where you can score a Lodge room starting at $100 through December. Take in the views of the golf course, ocean, dunes and surrounding woods. Dine and chill out at any of the several restaurants, lounges and bars on site and try a round of golf at either of the two world-class courses, perched 100 feet above the Pacific Ocean. Make sure to some time walking along the 23 miles of undisturbed shoreline before returning to reality, renewed and ready for anything. 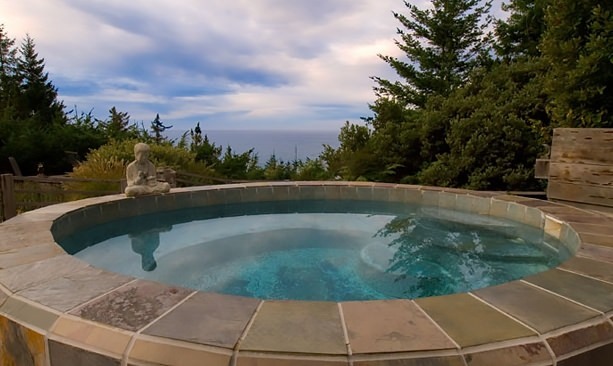 In Port Orford, the WildSpring Guest Habitat is full of natural inspiration, a 5-acre resort with every element — from the cabins and walking trails to the breakfast buffet and hot tub overlooking the ocean — designed to evoke peace and calm. We love that the facility is eco-friendly, with a zero-impact carbon footprint. Winter rates start at $198 per person for certain cabins through April. Indulge in the little things here, like a massage service; complimentary refreshments; discounted bottles of Oregon wine; and their on-site gift cabinet, which includes a collection of handcrafted jewelry, decorations and cards to bring home as a memento. In Gold Beach, it’s easy to breathe deep and find your center at the Tu Tu’ Tun Lodge. 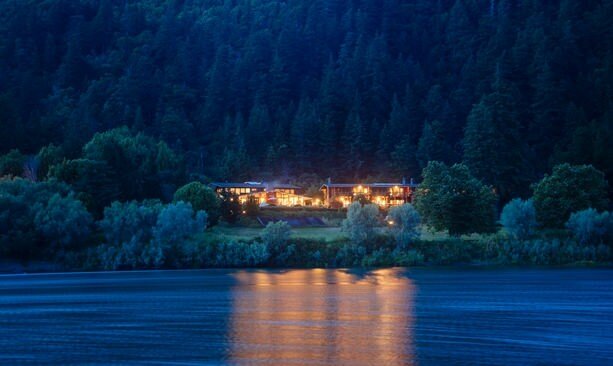 Nestled between the Rogue River and the lush forests, the rooms, suites and rental houses (for up to six) are modern and comfortable; room rates start at $160 per person through February. A gourmet breakfast is offered on site during the off-season, and full spa treatments are available. Of course there’s access to fly fishing and hiking, golfing and kayaking, but “do nothing” is also listed as a favorite pastime here — so leave technology behind and recharge yourself instead from an Adirondack overlooking the river. Where should we stay during our romantic honeymoon on the Coast?